The UK still has a government. But following parliament’s rejection of prime minister Theresa May’s proposed Brexit deal, the country no longer has a plan for exiting the EU on 29 March. Politics is in turmoil and the outlook for science is bleak. Under the proposed withdrawal agreement, the UK would leave the EU, together with its single market and customs union. But there would have been a ‘transition period’ until December 2020, under which the UK would continue to abide by EU rules, to allow for an orderly departure. The proposal did not, however, sit well with parliament. On Tuesday, they voted by a margin of 230 to reject the deal that the government had spent the last two years negotiating with the EU. And while the government survived a vote of no confidence the following day, its plans for an orderly Brexit lie in tatters. What will happen next is unclear. A ‘softer’ deal might gain the support of parliament, but the prime minister currently appears unwilling to compromise on her desire to leave the EU’s customs union. A growing number of MPs are calling for a second referendum. And there is discussion of a Norway-style relationship. The fact remains, however, that if no agreement has been reached by 11pm on 29 March, the UK will simply cut all ties with the EU. European rules and regulations will cease to apply to the UK. And there will be no agreements between the UK and the EU on how to manage trade, travel or citizens’ rights. The Royal Society of Chemistry’s director of science and communities, Jo Reynolds, warns that ‘leaving the EU without a deal would threaten both chemistry-using businesses and chemistry research and development in the UK’. It is vital, she says, that the UK maintains access to funding programmes, infrastructure and the associated collaboration opportunities in which it has long played a leading role. 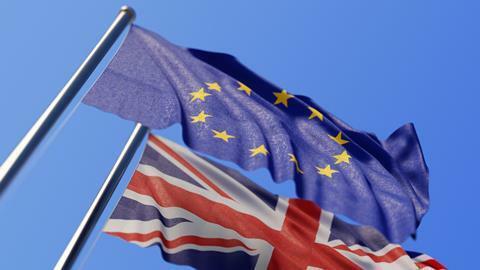 The government has sought to assure researchers that it will underwrite EU research funding awards until December 2020, even under a no deal scenario. After this period, though, UK-based researchers may cease to be eligible for many EU funding streams, including European Research Council and Marie Skłodowska-Curie Actions schemes. The damage could even extend to the UK’s ability to engage scientifically with its European neighbours. ‘The really bad feeling that would be caused would mean that the prospect of us being seriously involved in EU science programmes would be pretty minimal,’ says Richard Catlow, foreign secretary of the Royal Society. For EU researchers working in the UK, however, the future looks a little more certain. Along with other EU nationals, they are eligible to apply for ‘settled status’, which would allow them to remain in the UK after Brexit. Indeed, many have already done so under the government’s EU settlement scheme pilot. But academics fear that talented scientists from abroad may now be put off from coming to the UK. Chemistry Nobel laureate Fraser Stoddart, one of the first academics to attract researchers from other EU member states, describes their arrival as a ‘total game changer’. ‘I wouldn’t have visited Stockholm in 2016 [to receive the Nobel prize] if it hadn’t been for the advent of these people,’ he tells Chemistry World. The chemical industry is also concerned by continuing Brexit uncertainty. Steve Elliott, chief executive of the Chemical Industries Association, argues that ‘frictionless free trade, regulatory consistency and access to skilled people’ are critical to the industry’s success. The ending of regulatory alignment with the EU could also have broader ramifications. The UK could be excluded from pan-European medical research trials. And industry and academia alike could struggle to gain access to nuclear material and medical isotopes. Even obtaining basic chemicals could be a challenge, say researchers, if predicted border delays materialise. So as the prime minister seeks to come up with a Plan B for Brexit, scientists cross their fingers that the government can avoid a no deal scenario. But this means that politicians will need to unite behind a course of action that can gain the support of parliament. And unless and until this happens, there remains cause for significant concern.